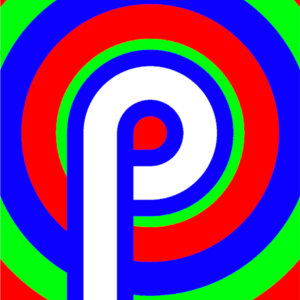 Today, I received a notification to download and install the Android P (v9.0) for my Google Pixel 2. And since I have not been in the market for a new phone, I also have not been following the latest and great changes in the OS. That being said, the download and installation completely without any hiccups. In fact, the installation process was much faster than I recall compared to previous Android OS updates. Look and Feel is more bubbly with more padding and margins. I immediately thought iOS look and feel. No problem, I confident I will feel accustomed to this change. Battery section has an Adaptive Battery category which limits battery usages on infrequently used apps. The infrequently used apps are listed and pre-checked, but can be manually unchecked to opt certain apps out of this feature as necessary. Do Not Disturb doesn't contain the various types (such as Priority mode). This is quite the shame, as I was used to distinguish between the two features. As an upside, you can now set it so that the quick Do Not Disturb button in the notification bar doesn't automatically select "Until you turn off". Less obvious, as I had to look this one up is the additional Gesture, Swipe up on Home Button, that removes the overview button. This also reminds me of how iOS looks like on the iPhone X. Though it looks simple, there are many features built into the one tiny dot. Try to swipe left/right, or swipe up once, swipe up twice, or press and hold. The App Drawer has two new boxes that use AI to predict next action. This one I actually don't like much. It's an app drawer where I can find apps. I don't want this section polluted with unnecessary actions. (In an unrelated, but similar fashion, I don't like the new feature where Gmail tries to provide 2-3 word responses). The currently open apps view is now full screen screenshots that scroll horizontally. It's just an interface change, nothing I won't get accustomed to. The "Clear All" is still there, just located all the way to the left. I'm sure there are a bunch more changes, but these are just the one's I've found playing around with Android P for a few hours. At the end of the day, as long as some changes improve battery life, I'm certain I can get accustomed to any of the new changes.